Evo & Grace: The WanderLusts: Balintagos present a new film about young Cadets during Martial law times in the Philippines. Balintagos present a new film about young Cadets during Martial law times in the Philippines. 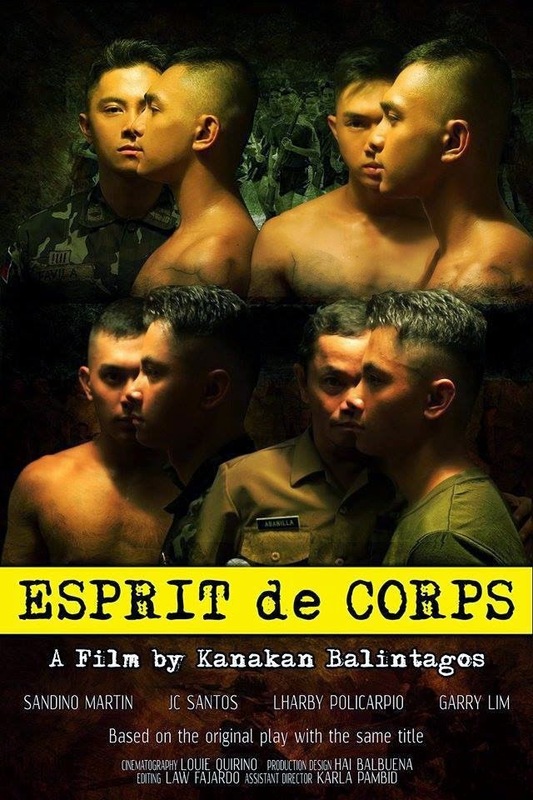 INTERNATIONALLY Acclaimed Filipino film maker Auraeus Solito who now standby the name of Kanakan Balintagos has an incoming film set in the 80’s entitled Esprit De Corps. This is Balintagos combeck to Cinema One Original Film Festival after her first entry last 2012 for the movie Baybayin (The Palawan Script), this year’s festival is scheduled on November 9 to 18, 2014. Regular showing of Esprit De Corps in Manila starts November 10 in selected theaters such as Fairview Terraces, Greenhills Atmos theater, Glorietta 4 and Trinoma. Solito is a true blooded Palaw’an and his ancestors belong to hierarchy of shamans of Southern Palawan. He is the film maker behind award winning films like Ang Pagdadalaga ni Maximo, Busong, Tuli, Boy and Pisay. The Cast of Esprit De Corps. Sounds like an interesting film! Thanks for sharing! ooo! 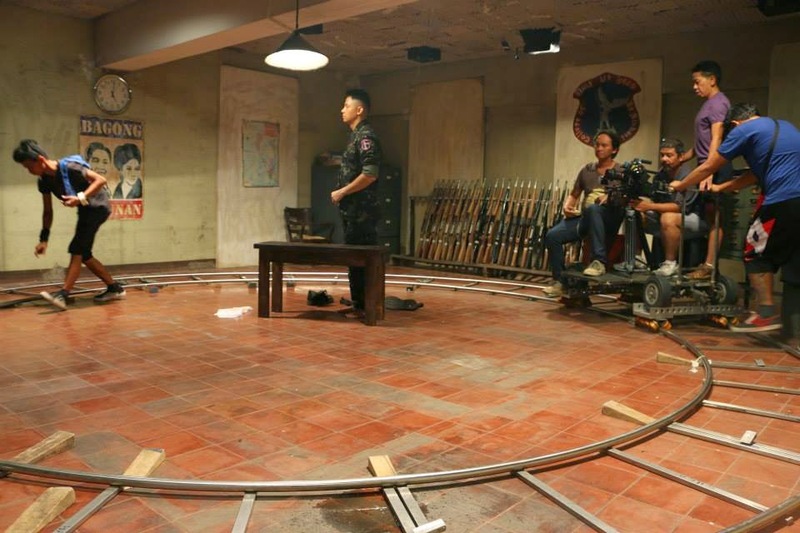 this is interesting - i love seeing a behind the scenes of films. feels like i can relate to them more! That sounds like a really interesting film. I would love to watch it. This sounds and looks like a good movie. I enjoyed watching the trailer and I would like to watch the entire thing. This sounds like a great film. I love films about being torn and rising above. Thanks for sharing. This seems like a really cool film. I usually don't go for this genre, but I might have to check this out! Looks very interesting. My in-laws have been talking about this movie as well. How exciting for their movie to be featured from a highly acclaimed play. It gives many more people a chance to enjoy the story. That's an interesting premise. Sounds like quite a dramatic time! I always love the behind the scenes shots of a movie. Especially ones from an interesting movie like this one! This sounds like an interesting film! Fun! Looks like a great film! Sounds like one me and hubby would love! Looks like a neat film my husband would enjoy. Thanks for sharing. Sounds like a tough story line. Hell week, means some strong dedicated cadets! This is really an interesting movie and something I don't get to see too often. Just a note, rather than posting the link to youtube, why not embed it in your post? This sounds like something that I would like to see. I love documentaries and stories about people's lives. I´m not familiar with the Filipino movie industry. Thanks for sharing the story and the trailer. This sounds like an interesting movie and I will have to check this out. Thanks for sharing. I never heard this film yet. I'm proud to say that the Filipino movie industry is getting into the mainstream. Stagers to conquer the Big Dome on Nov 24, 2014. NIU By Vikings, level up buffet experience. The world of Poker at Solaire. #MrsFieldsMoments: We Missed Mrs. Fields!